Brake pads are crucial to the everyday operation of a car, but they won’t function very well without a set of dependable calipers. Here at All Discount Parts, we offer quality OEM replacement parts at wholesale rates. Our extensive inventory stocks Honda replacement calipers for every Honda, no matter what model or model year, and if you order online from the convenience of your home, we’ll ship the parts straight to your doorstep. Calipers are an integral component in the braking process. When you step on the brake pedal, the master cylinder sends brake fluid to one or more of the pistons in the caliper to create hydraulic pressure. This causes the caliper to clamp down on the rotor. 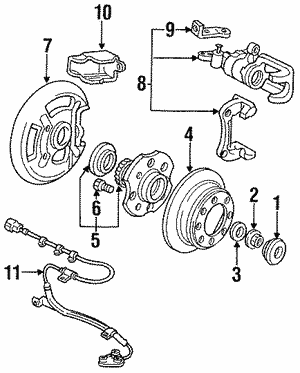 Brake pads on either side of the caliper then create friction to slow down the rotor or bring the car to a stop. 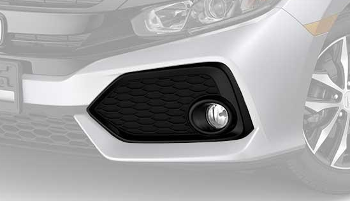 When your calipers are worn down, your brakes may not be able to function. Seizing Brakes: If you notice your vehicle continue to break even after you lift your foot from the pedal, your calipers are probably worn and locked in place. 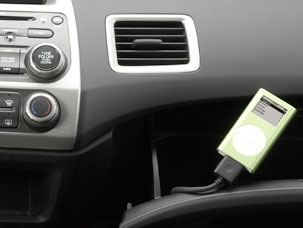 Car Pulls to One Side: Faulty calipers may seize on one of the brakes and pull your car to one side while braking. 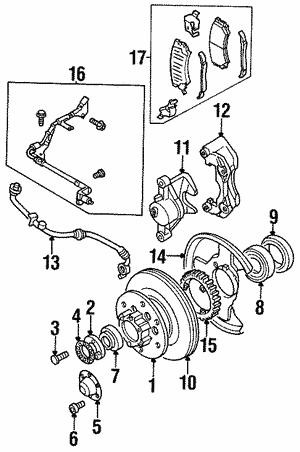 Leaking: A caliper that leaks brake fluid will struggle to apply enough pressure to decelerate the car. Brake Failure: The possibility of your brakes malfunctioning while driving is scary, but also very real if your calipers are faulty. Rotor Damage: If worn brake calipers are ignored or neglected, your rotors get unevenly worn down and could crack, leaving you in need of incredibly expensive repairs. Brake Pad Damage: Failure to replace faulty calipers produces uneven wear on your brake pads, causing them to deteriorate much more quickly. Perfect Fit: OEM Honda parts are designed to fit your car’s exact dimensions. Assurance of Quality: Manufacturer’s parts guarantee drivers that their replacement will function exactly like the part being replaced. Warranty: OEM parts are almost always backed up with warranties, whereas aftermarket parts often cannot offer them. If you have questions or would like more information regarding Honda replacement calipers, feel free to contact us online or give us a call at 800-651-4832.